The life of Stephen Hawking is being honoured with a commemorative 50 pence coin. 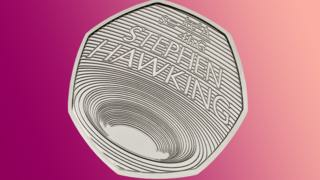 The special 50p piece is being released by the Royal Mint, who make the UK's money, and will feature a design influenced by Hawking's important work on black holes. With this coin, Stephen Hawking becomes one of an elite group of scientists to have been honoured on UK coins, alongside the likes of Charles Darwin in 2009 and Sir Isaac Newton in 2017. The coins will cost £10 each. 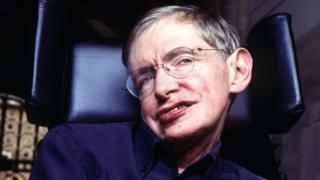 Hawking, who had a rare form of motor neurone disease, died at the age of 76 in March 2018. He is known for his groundbreaking work in physics and cosmology, and his books have helped to make complicated science accessible to everyone. A - Zee of the new 10pee! Paddington's been on a coin?! Well, we learn new stuff every day! You need to brush up on your coin knowledge! Remember what they say: "Look after the pennies and the pounds will look after themselves."